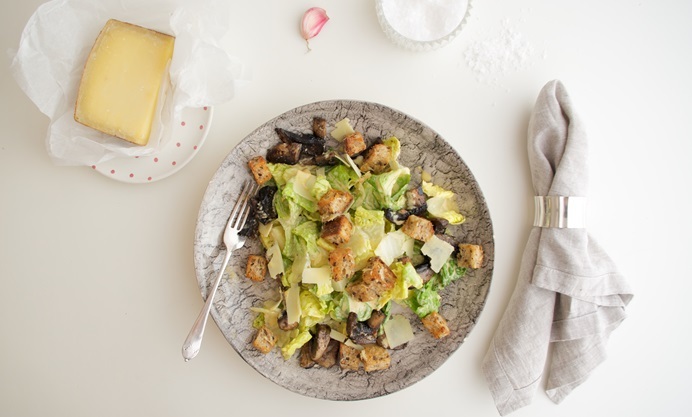 This hearty salad is a twist on a traditional Caesar, with plenty of delicious, umami-rich extras to add texture and deep, savoury flavour – garlicky mushrooms, crunchy, cheesy croutons and whole, caramelised garlic cloves. This salad is made without chicken or fish, but Gruyère cheese is traditionally made with animal rennet. Many vegetarians, such as Nancy, don't mind such technicalities, but it's worth checking if you're cooking for guests. I absolutely love Caesar salad. I was introduced to it in earnest when I lived in Canada – a version of this salad is available on pretty much every menu there, as I suspect it is in much of North America. 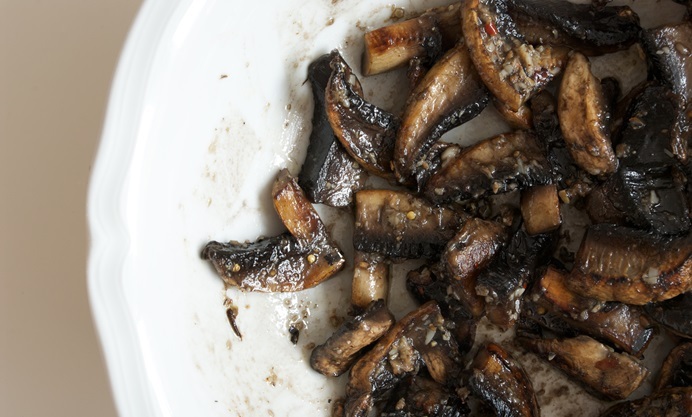 My version has more than a few twists – I've replaced the anchovies with miso paste for a vegetarian alternative, as well as swapping the Worcestershire sauce for an anchovy-free version. I also added some flavourful marinated mushrooms to the mix. 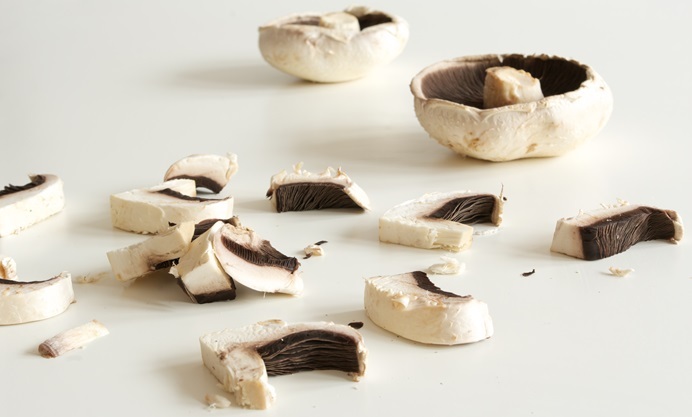 The way you cook the mushrooms is really important – searing them until browned all over caramelises their flavourful liquids and builds loads of flavour. 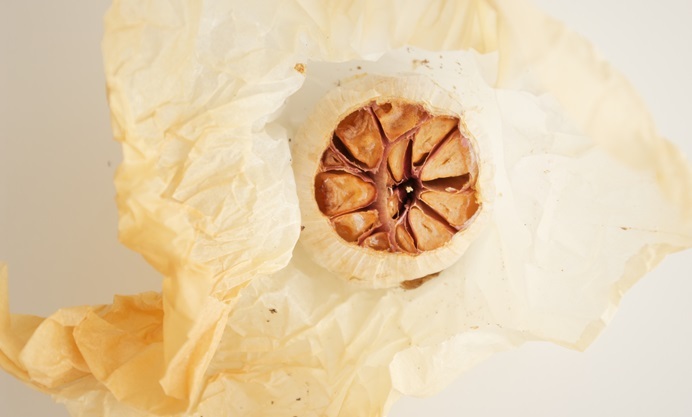 This is especially important when making vegetarian food, and I turn to this technique again and again when cooking this and other vegetables. Garlic is infused into the salad in a variety of ways. A little is mixed with oil to season the sourdough croutons. 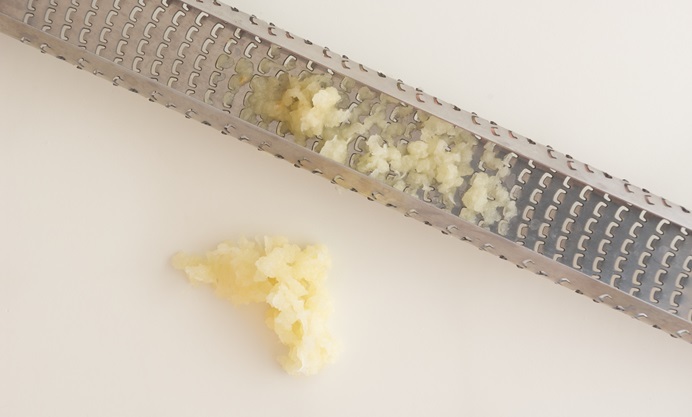 The garlic in the Caesar dressing is first steeped in lemon juice, which 'cooks' the garlic and softens its bite (my new favourite technique!). 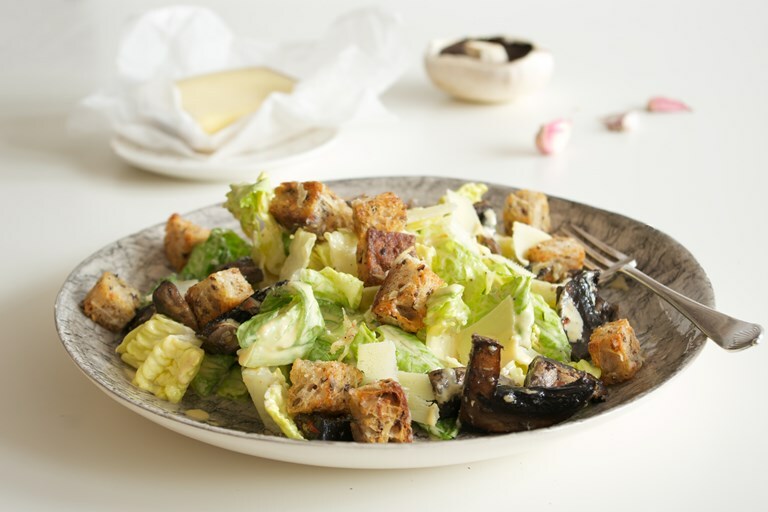 Finally, roasted garlic is blended into the mushroom marinade and whole-roasted cloves are tossed with the lettuce. 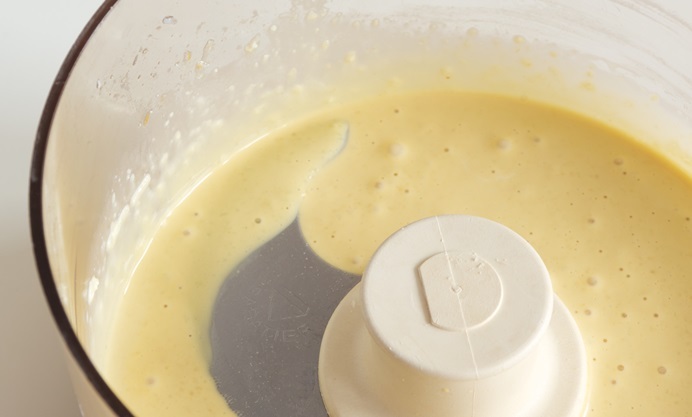 Accentuating all this is plenty of delightful Gruyère – melted over the croutons and blended into the dressing, as well as shaved on top. This long-aged cheese has layer after layer of complex flavour, so much flavour! All of which beautifully complements the meaty mushrooms, the roasted garlic, the seasoned dressing and the wheaty croutons. 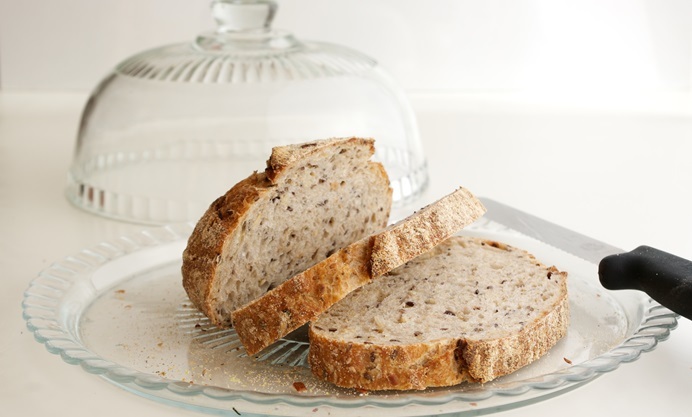 It's really important that you use a hearty loaf with plenty of crunch and chew. Sprinkling water over them before roasting in the oven gives you lovely croutons that are crisp and browned on the outside, but still with a touch of softness in the middle. 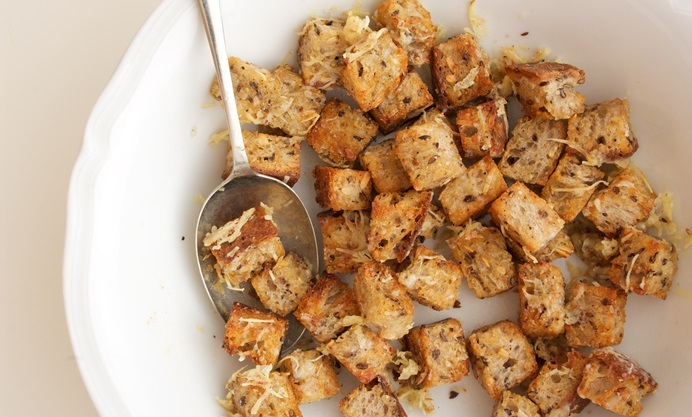 The textural contrast, along with the deliciously encrusted Gruyère cheese, is what makes these croutons truly remarkable.